As a child and into my teenage years, my Dad was my "hero." He was tall, strong, good-looking and charismatic in personality. He seemed bigger than life to me. However, as I entered the era of being a wife and a mother, my viewpoint began to change. 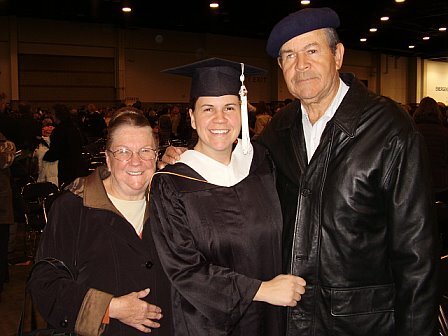 I will always revere my Dad as the hero of my youth, but my Mom is the hero of my adulthood. It's amazing how your perspective changes as you mature into adulthood. Over time, it began to occur to me what an amazing wife, mother, homemaker and Christian my mother was over the years - and still is! My "recall" of special events in my life is now colored by different lenses. I was the oldest of the Gordon clan. When I was 8 years old, I already had 5 younger siblings. However, in those very busy years, Mom worked late into the night hand-making my sisters and me 3-4 outfits for our Barbie dolls for Christmas (which, of course, were very "modest"). We were SO thrilled! Funds were very tight for our growing family, but you'd never know it by how we were dressed. Mom was a wonderful seamstress and worked long hours sewing clothes for us - in the latest styles. She was also adept at going to the local thrift stores and finding barely used clothes for us to wear. As teenagers, we went to fellowship meetings wearing stylish clothes - I don't ever recall being ashamed of my clothes or how I was dressed. Still today, she is able to shop sales and find something inexpensive for each of us that is totally "our" style. Mom was also an amazing homemaker and cook. I learned through her example that the old saying "cleanliness is next to godliness" was probably just left out of the Bible by mistake. Our home was always extremely clean and inviting and she could make our meals stretch to feed as many as needed (the family, visiting preachers, evangelists, missionaries and miscellaneous homeless persons). 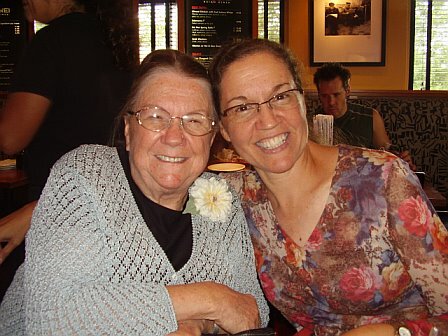 When I left home at 18, I knew how to clean a house from top to bottom, cook a tasty meal (without using any recipes) for 10+ people, make pie crust, cut up a chicken, can fruits and vegetables and make wonderful homemade desserts to assuage my sweet tooth.
. My Mom, my hero! I was about seven years old when I came into the kitchen of our home and my mom was saying, "Thank you Lord, hallelujah." I looked to see if anyone else was there. No, it was just her. She was busy doing one of the never ending chores in the kitchen. I was troubled because she seemed to be talking to God even though we weren't at church and she wasn't kneeling down and praying. For some reason, my sense of order was all messed up. Why was she doing that now? It seemed out of place. Other times, my mother would be humming to herself as she worked. Even in the midst of hard times, there was always a song. Years later, when I stood in my home, washing the dishes and looking out the window, I realized that I had been talking out loud to the Lord - just like my mother used to do. She taught me by example that serving God wasn't just a "church thing". It was an everyday, all-day thing. And even in the busyness of our lives, God should and could be a very real part of it. Moms are supposed to teach you things. Everyone knows that. It's a rule. And my mom was no exception. She taught me all kinds of interesting things, like how you're supposed to wear white between Memorial Day and Labor Day, (although winter white is okay during the other months), and that the secret to a delicious roast beef is to brown it very well. She taught me that it's easier to clean up as I go and I should balance my checkbook to the penny every month when the statement arrives. She taught me to harmonize with my sisters and to go to church for every single service. Those were all important things to know but none of them were the most important thing I learned from Doris Gordon, the most influential woman in my life. So what was the most important? My mom taught me that I needed to do the right thing, every single time, no matter what! It didn't matter if I didn't feel like doing right, if everyone else was doing something different, or if it was hard. Nothing mattered except doing right. God expected me to do right and so did my mom. When I was attending public schools, when I went on dates as a teenager, even when my husband of 25 years left me and my heart was broken, I focused on my mom's most important lesson: Do right. Every single time. No matter what. Everything good in me is from God. This knowledge is probably the greatest gift my mother ever gave to me. I'm not sure she ever packaged it in exactly those words-it is more likely that her consistent, practical example engraved the concept firmly into my very being. We were expected to apply ourselves and to do our best in all things. However, if we succeed at anything and lose our soul==what profit is there? Above all else, we must be saved! 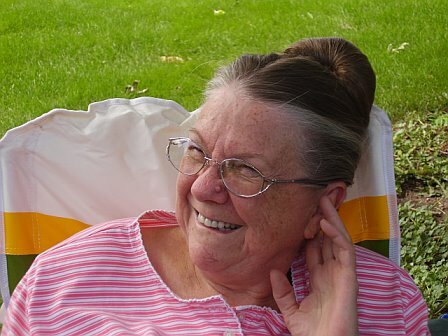 I often remember hearing my mom sing, "I must be saved." When she sang, I saw her repentant heart and desire to see Jesus and that message was engraved on my heart. 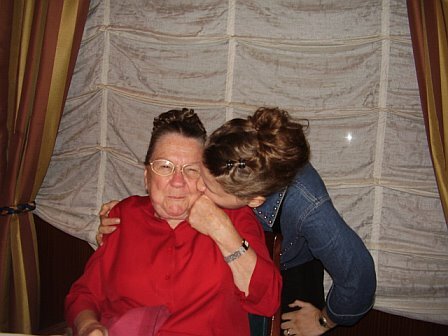 Of course, like many mother-daughter relationships, ours was not without misunderstandings. Most often my desire to spend every extra penny I earned on travel flew in the face of my mother's careful management of a household of ten. I guess God knew my heart because my husband and I have moved 14 times in the past 20 years. And looking back now and seeking to understand those differences helps me be a better friend, wife, and mother today. 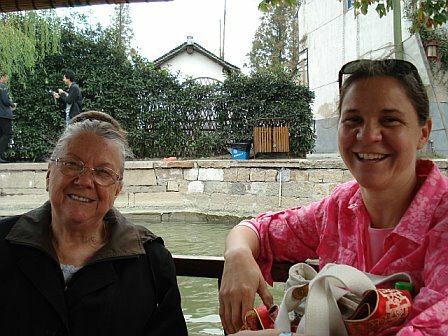 The added bonus is that mom and I have enjoyed shopping trips all over the US, Europe and now Asia. The time I now spend with my mom is priceless. 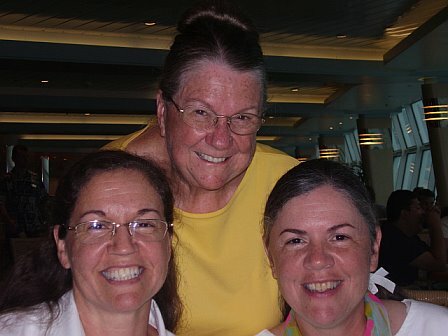 My mom's day-to-day example and influence through every phase of my life, the growth, the sorrows, the achievements and joys solidified the message and have provided brick-by-brick the solid foundation upon which I now build my own family, carrying on the legacy with my three daughters. God knew exactly what I would need in a mom to be successful in an eternal sense! Thank you God and thank you mom! There are many other women who have influenced my life but none so much as my mother. I have five incredible sisters, whose stories appear here alongside mine. I have the most incredible string of former pastor's wives who have breathed into my heart and life treasures that I will carry with me forever. And God has blessed me with three beautiful daughters whose lives my mother will influence through mine. I pray that some day Chelsea, Quincy and Sydney will look back and say of me as I say of my mother. "She showed me how to be like Jesus." "You can't learn any younger." That emphatic statement, made by my mother to her eight children at various stages of their lives, encapsulates her pragmatic outlook. Doris Gordon is a wise woman who understands that the most effective learning is a result of demonstration rather than lecture. She taught us well, because from my earliest memory, I think of my mother working. She was always busy, living a consistent life of sacrifice for God, for her family, and for anybody else who had a need. She instilled in her children the value of worship, hard work, commitment to a cause, and following through to complete what we started. She also taught us, without words, to look for a need and fulfill it, rather than waiting to be asked. It is interesting that when my three teen-aged children are complemented, it is almost always about their worship, their love for God, their wisdom, or their willingness to work when something needs to be done. As a parent, I don't take credit for it, because I know that my children are simply reflecting what was demonstrated by my mother. I admire her more than words can say and more than anyone else I have ever known. 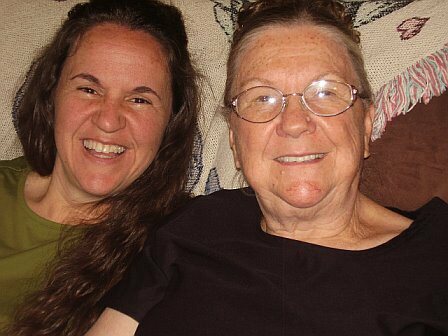 Some of the "gifts" my mother has passed down to me are: pragmatism, holiness, prayer, singing, serving, and submission through support. Doris Gordon is a consummate pragmatist. She is practical all the way into to her bone marrow, and she's done a great job passing this on to her eight children. Being a pastor's wife, treasurer, counselor, mother, grandmother, great-grandmother and Jill-of-all-trades lends itself well and perhaps explains her pragmatic character. Holiness cannot be gifted without it being accepted by the recipient. It didn't come immediately or without struggle, but watching my mother, who I fondly refer to as "foxy" now that she nears 74 years of age, has always displayed holiness from her "inward parts" as well as from the perspective that most people experience: from the outside. This internal shine cannot be contained inside her body without external illumination, and it is absolutely contagious. Her grace in carrying the mantle of Christ makes me want to carry it too. My mother's prayer is a memory that goes to the back of my file cabinet, and constitutes parts of my first memories. Although her travail made the hairs on the back of my neck stand up when I was younger, I now understand and marvel at the depth of Divine connectivity and communication I was privy to as she prayed. 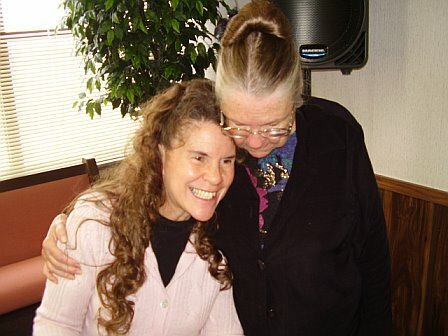 It is hard for me to wrap my head around all the things that drove my mother to her knees, and it is amazing to realize instead of collapsing in a heap on the floor and remaining there, the strength that came into those knees and legs during prayer enabled her to carry on and make it through another day, and another trial. Although my mother's special brand of singing is often heard in the form of a "hum" there is always a song in her heart, or so it appears to me. As was previously mentioned, our mother taught the older girls to harmonize (she was too tired when it was my turn, so my brother was (financially?) coerced into teaching me). Since Mom plays the piano and understands music theory, I recently had a mini-panic attack wondering how I would teach my children (as of yet unborn) how to harmonize without knowing how to play the piano myself. Although my sisters poked fun at my premature and random concern, I long for my children to express their love, gratitude, and the greatness of Our God through song, just like my mommy does. My mother is a servant. She has hands that can be easily identified as "working hands" and never seems to hold still (at least not for long). As I was growing up I remember her working, apparently tirelessly, to make suckers, peanut brittle, and pies to fund many ministries, support needy families, and recently pay off a prime piece of real estate to remove the debt burden off the congregation. If it is time to leave the house, she works until the last possible moment, modeling that it is easier to do things as you go than to allow them to pile up and become overwhelming. Though she takes more breaks, reads, walks, and hangs out with family these days, her servant's spirit is never far from the surface.